Suddenly, mythical creatures seem to be walking straight out of the pages of Percy's Greek mythology textbook and into his life. The gods of Mount Olympus, he's coming to realize, are very much alive in the 21st-century. And worse, he's angered a few of them: Zeus's master lightning bolt has been stolen, and Percy is the prime suspect. 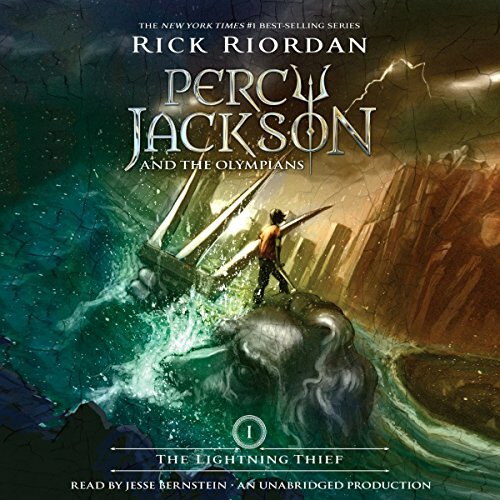 Now Percy has just 10 days to find and return Zeus's stolen property, and bring peace to a warring Mount Olympus. 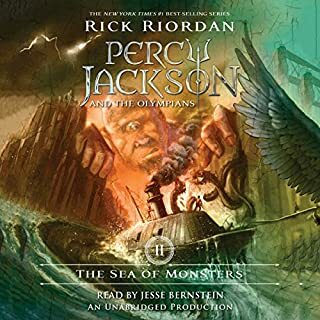 On a daring road trip from their summer camp in New York to the gates of the Underworld in Los Angeles, Percy and his friends, one a satyr and the other the demigod daughter of Athena, will face a host of enemies determined to stop them. 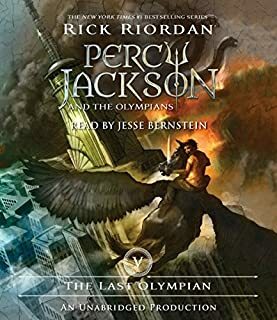 To succeed in his quest, Percy will have to do more than catch the true thief: he must come to terms with the father who abandoned him; solve the riddle of the Oracle, which warns him of failure and betrayal by a friend; and unravel a treachery more powerful than the gods themselves. This was a great book but unfortunately the narrator mispronounced some words. Cyclops is pronounced “sigh-clops” not “sigh clopeas”although I love the book and the narrator did a good job otherwise. 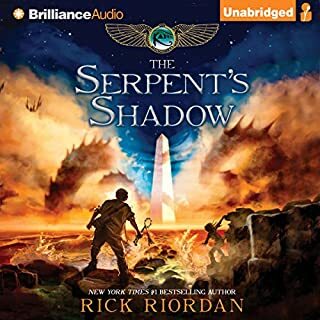 First audio book since I was a kid! 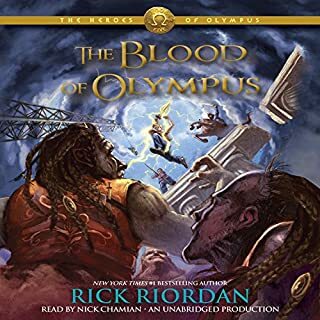 Loved the narration, long chapters at times but great creative writing led the imagination; listened with my 10yearr old son and he enjoyed it which was nice bonding time for us. My 7 year old and I make quite a few long road trips a year, this book and the series have been great road trip companions. I have never been a fan of these type of stories but I decided to give it a try. The story is very childish and didn't keep me interested all the time. The end was too predictible. I really liked the narrator. 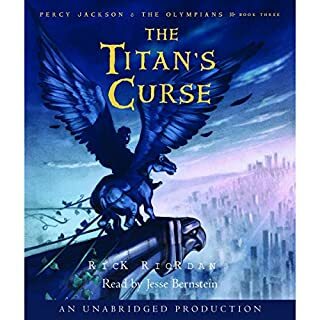 This book is a fabulous tale of a 12 year old boy Percy Jackson who is trying to discover who he is and how he fits into the world around him. He is not like other kids because he was fathered by one of the greek gods and a mortal mom. 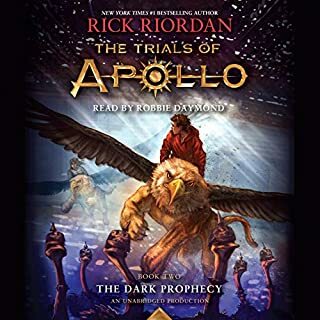 The book introduces the reader to several of the greek gods and goddesses which allows the reader to remember who they were and what they did. Once you start listening you just can't stop. My 9 year old couldnt put it down for 2 days. he would have never read the actual book because of the length but was mezmorized once he started listening. Believe me you won't be disappointed. I've always had a love of mythology so I was intrigued by the series after I saw the movie trailer. 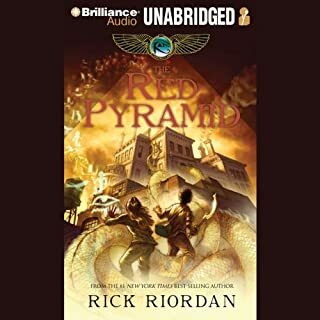 I loved the story - but I will purchase the paperback books and read them instead of downloading the next in the series because I could not abide the narrator. 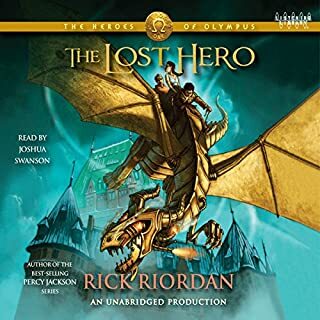 I'm usually fairly non-judgmental about the narrator if the story is good - and I totally get that he is suppose to be just a kid and "clueless" but I felt the narrator's inability to bring the characters to life did not do the story justice. My own mind can do a better job while I read the printed page and I won't be as annoyed as I got with this audiobook. Jesse Bernstein's voice has a condescending tone, like he is talking down to children, in every moment of the story. It makes him unbelievable as the main character, though he does a fine and consistent job as other character voices. It doesn't make the book unlistenable, but it certainly detracts from the enjoyment of a good tale. Decent story - distracting narration. The story itself was good - if predictable at several points. Not great literature, but a diverting read for a few summer afternoons. 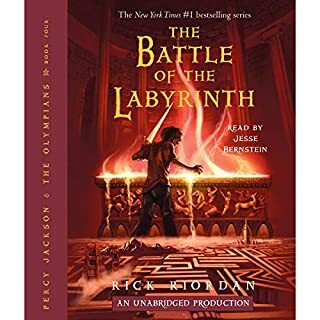 I enjoy young adult literatire, and while this doesn't compare to classics like Phillip Pullman's His Dark Materials Trilogy, or recent greats like Cornelia Funke's Inkheart, the story was entertaining enough. However, I had a hard time not being completely irritated by the narrator. Generally I give myself over to the story, but I found myself thinking over and over that I wished someone else - anyone else - were narrating instead. Everything he reads is delivered in an over-earnest voice, like a child actor trying too hard to be super cute and precocious. His female voices are grating. And the worst offense was that in an attempt to give the male characters different voices, one of them - who could have been an interesting, complex character, instead sounds just like Keanu Reeves in Bill & Ted's Excellent Adventure; like a dim-witted surfer with a script in front of him. To be fair, the reader's delivery may appeal more to children than adults. I mean, there must be some reason kids like Barney but adults can't stand him, right? And if it is appealing enough to children that it encourages them to love literature, then I suppose that's what really matters. The quintessential truth about this book is that this is a book for kids. That is no to say that as am adult you can't or won't enjoy it but the long and short is this book was designed for kids. The author takes some obvious liberties taking this into consideration and if I have to base my review solely on it being a kids book... This book was actually great... Pity though I am not a kid nor do I have any at this time. 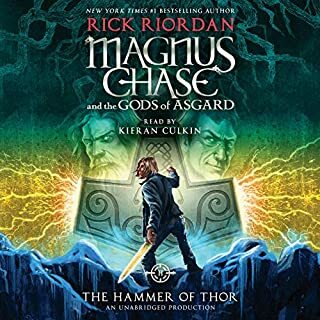 I liked the concept of the book, the thought process that went into creating this mythical world intertwined with our current time was rather impressive to say the least. 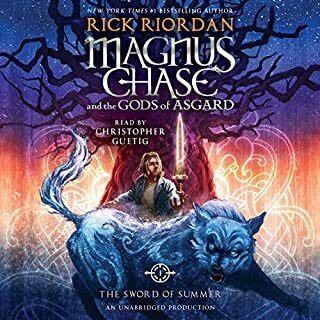 If turned into a more young-adult/adult genre book I would thoroughly have enjoyed it because I would think the characters would have a lot more depth and certain concepts about this world would have been thought out much better. From my personal vantage point the book would have probably gotten 2 or 3 stars but thinking of it as a kids book it would get 5 stars..... so a clear medium was found here in giving it 4 stars. Good listen. Excellent for pre & early teens. I'm a Mom listening to my kids books...I think if I read this book, it wouldn't have kept my attention. 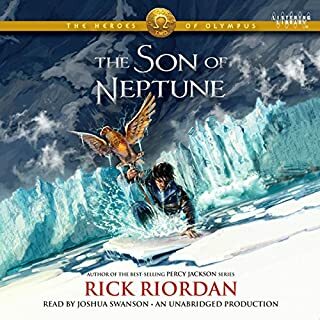 The narrator, however, added color to the story, and I can see why it's a hit with the Youngsters :) It's no Harry Potter, but it's a great introduction to Classical Mythology. Just don't tell the adolescents that. They'll boycott the notion. 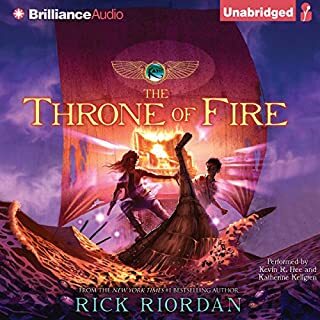 Great book - loved the narating! I teach in a special education resource classroom. My students are not reading on grade level so they struggle to read books on their interest level. 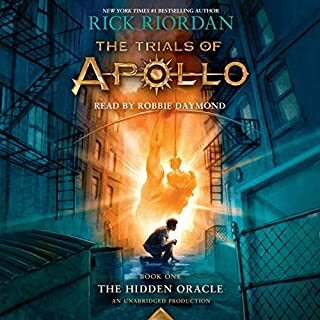 Audible books allow them to "read" novels that their peers are reading. We listended to the book as a class and the students got more out of the story due to the theatrical read then just myself reading it to them. They can't wait to listen/read the next book in the series. 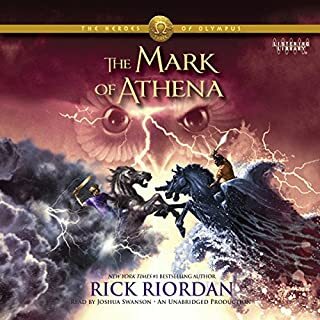 I purchased this book for my son who is learning about greek mythology in school and he thought the book was awesome! I enjoyed this book because it was fun, light "reading." I even learned or remembered a few things from Greek mythology. My 9 year old lost interest quickly, so I recommend it for maybe 13-14 yr olds. I do think the narrator used some strange interpretations of voices. Some of the characters sounded absolutely the same, which left me wondering if they are the same person(but I won't find that out until later), or he has a limited number of voices period. 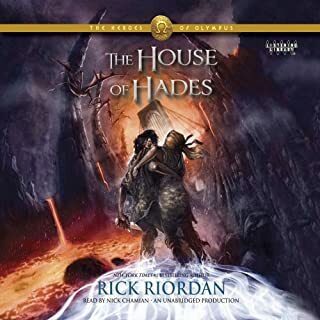 I will definitely download the next book in the series. I think if you like the Harry Potter series, you will probably enjoy these.